Volunteers are truly wonderful people. They are an invaluable part of the wider community and our community here at The Lost Dogs’ Home. It is hard to imagine how either community would function without them. 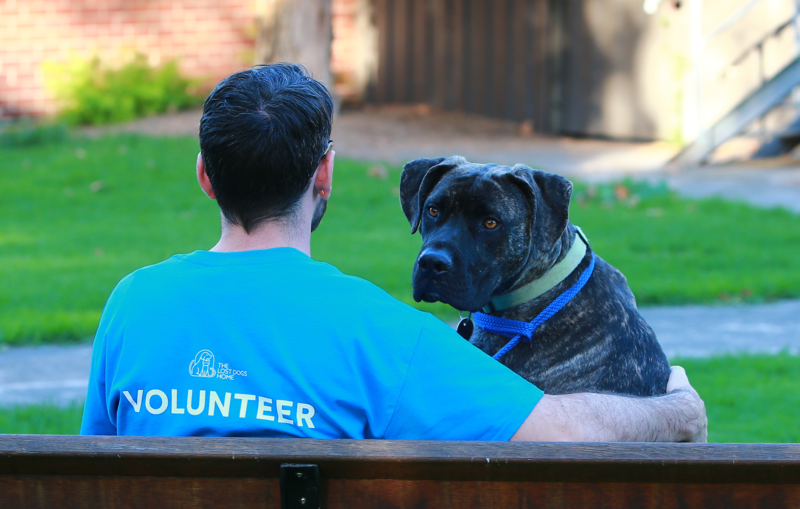 Our volunteers – affectionately known as ‘vollies’ – are people of all ages, backgrounds and skillsets. They are animal lovers, just like you and me. They have jobs, families and many other commitments. And yet, there is always room in their schedule and heart for a cause they feel passionately about. Any time you visit the Home or join us at a community event, you are likely to cross paths with one of these special souls, in their volunteer uniforms and with a beaming smile, both worn with pride. You may see them interacting, exercising and spending quality time with the dogs and cats in our care, ensuring their stay at the shelter is as enjoyable and enriching as possible. You may see them out and about in the community, helping us spread the word about pet adoption and responsible pet ownership. There are also those volunteers who work behind the scenes at the Home. Though you may not see them, their contribution is equally as important. Our foster carers are also volunteers. They welcome shelter pets into their homes for a little while until they are ready for adoption, offering them love and care in a nurturing home environment. Some of our volunteers assist on an ad-hoc basis, while others attend regular shifts. Regardless, their contribution to the Home and animal welfare cause simply can’t be measured. But, the wagging tails and contented purrs of the pets they help really do speak volumes. May 8-14 marks National Volunteer Week; a special time to celebrate and acknowledge our volunteers and their incredible, selfless work. On behalf of all the people and pets here at the Home, I wish to thank each and every one of our wonderful volunteers. Thank you for your time; your dedication; your skills; your passion; and your unwavering commitment to helping the Home provide a brighter future for homeless dogs and cats.